Deltec Co. Fuse Blocks are available in 110, 125, 150, 175, 200, 300, 350, and 400 amp models. We offer the FB Style for use with 3/8 ring terminals. The CFB is designed to allow for a pressed wire connection up to 250 MCM. 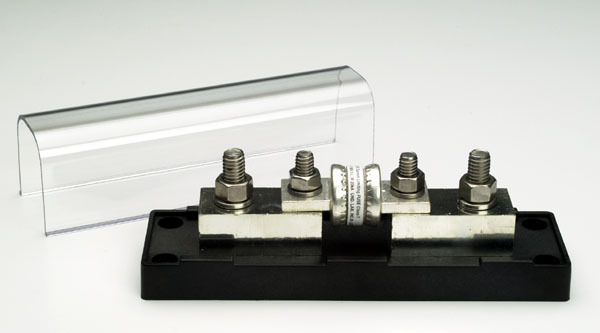 CFB Fuse Block is manufactured with two high-quality rated lugs and accepts #6 - 250 MCM wire gauges. 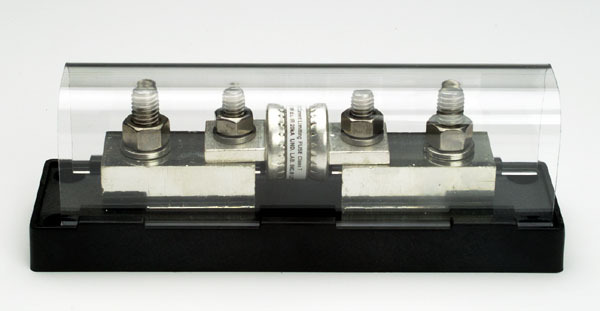 The Deltec integrated shunt and fuse holder (D167) is designed to accept CNL/ANL style limiter fuses. Typical applications include: forklifts, golf carts, and other low voltage battery-operated equipment. Shunt supplied is available in Deltec MKB amperage range with 50 millivolt drop. Base is phenolic. This product is provided without fuse. Fuses are available upon request for additional charge. 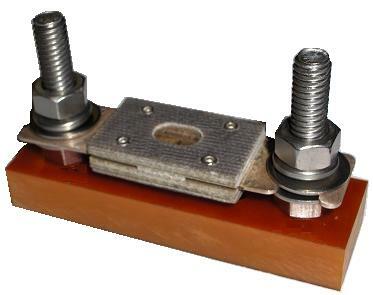 Fuse holder for limiter style fuses. Manufactured from heavy duty solid phenolic base with all stainless steel hardware for long lasting durability. Includes clear polycarbonate cover with nylon acorn nuts. Dimensions in inches. Tolerances � .015 for hole diameters. Other tolerances � .030 unless otherwise noted.